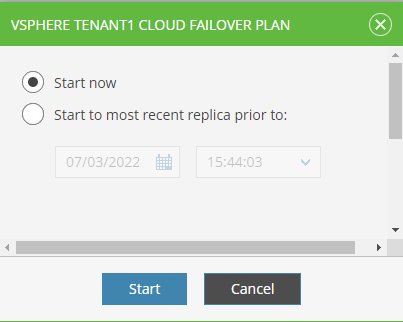 the Full Failover has to be started using a Cloud Failover Plan. 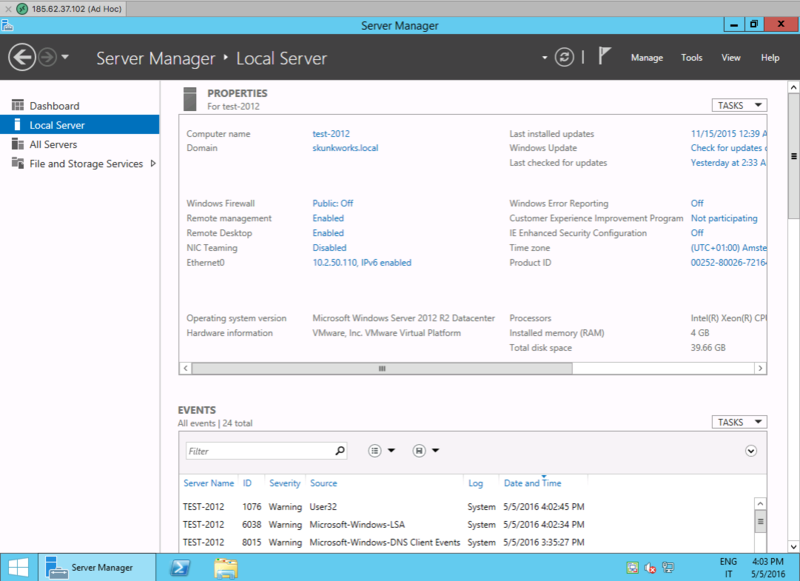 Any failover of a single VM starts a Partial Failover. 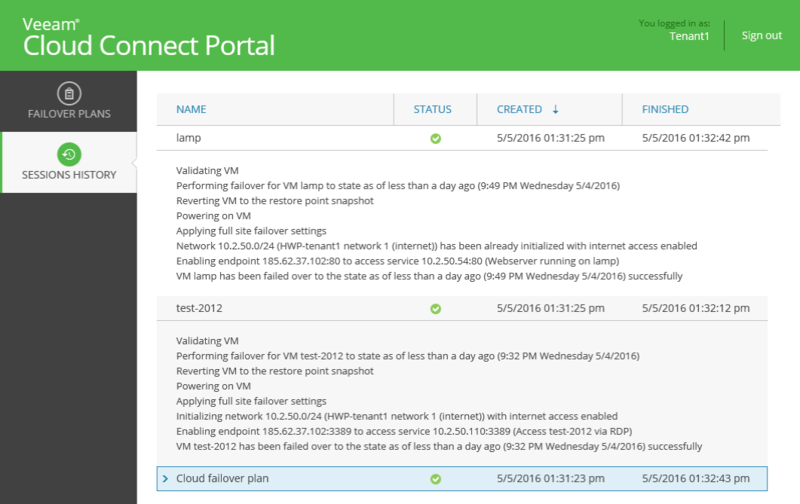 In a Full Failover situation, the Network Extension Appliance doesn&apos;t act anymore as a VPN extension, but its two roles are to become the new default gateway for every network created in the Hardware Plan, and to publish services running in failed over VMs to internet, like a firewall. 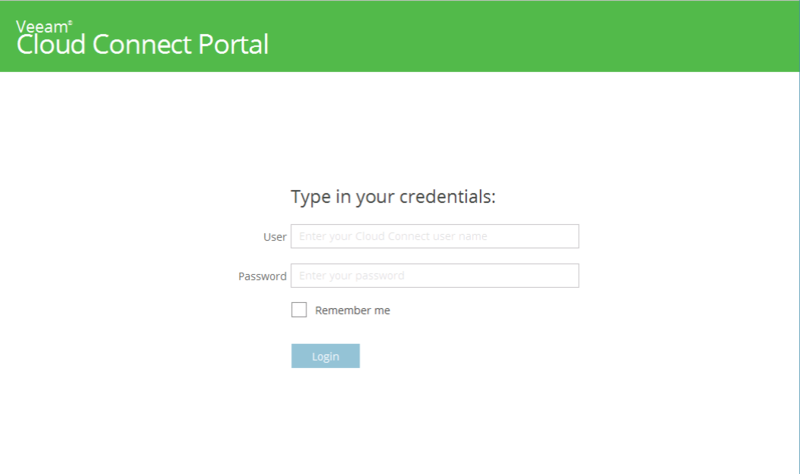 the tenant can connect to the Veeam Cloud Connect Portal using the credentials received from the service provider upon subscribing to the service, and he can start here his Failover Plan without involving the service provider at all. 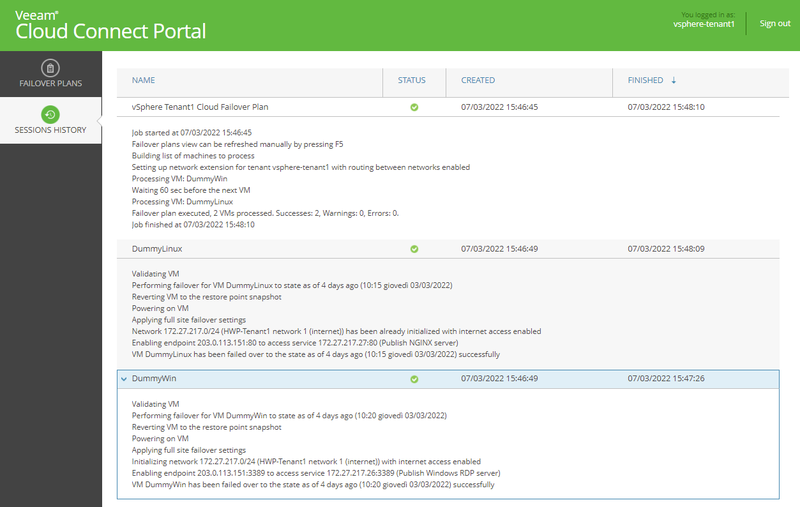 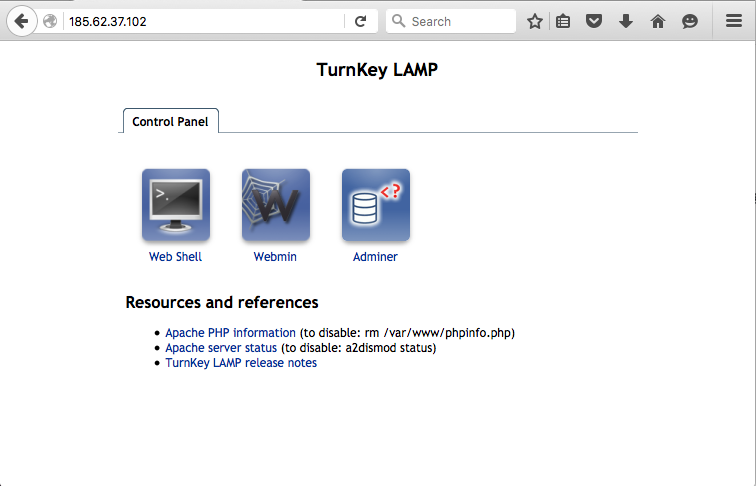 The Failover Plan has been correctly executed, and all the needed publishing rules have been applied successfully.